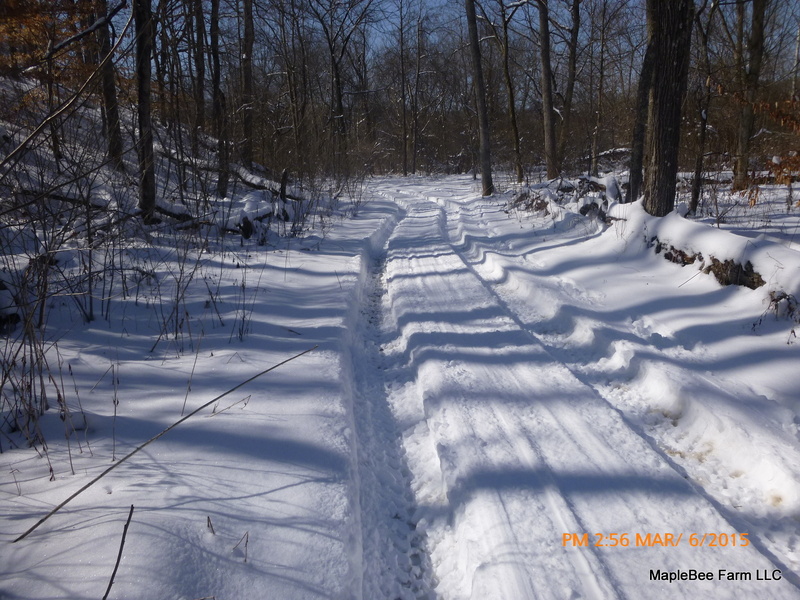 It was the 3rd season in a row for strange winter weather with long stretches of either too cold or too warm. 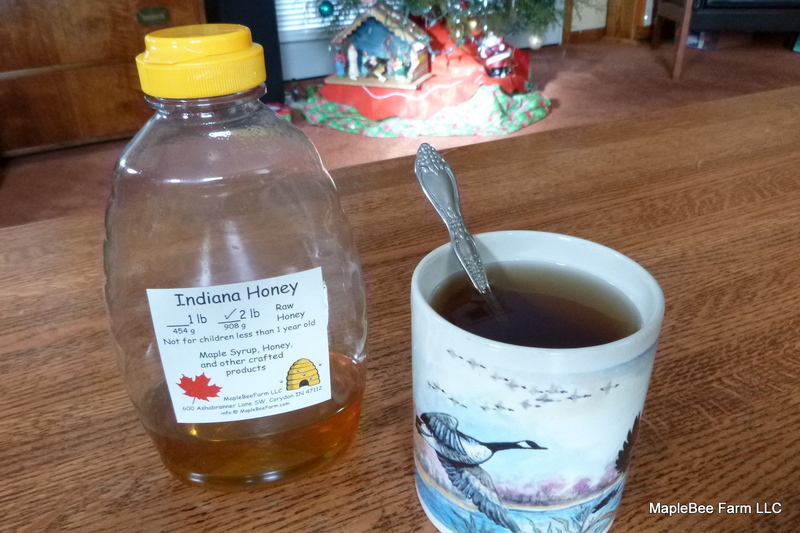 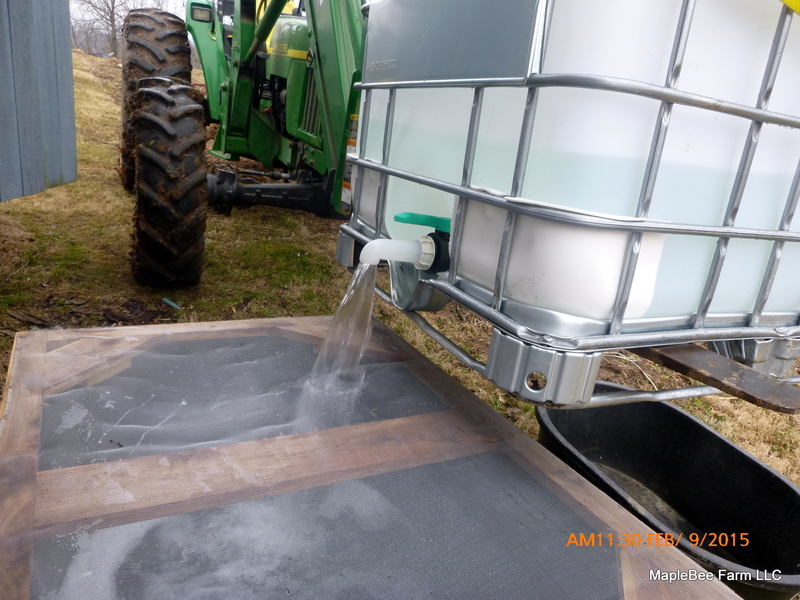 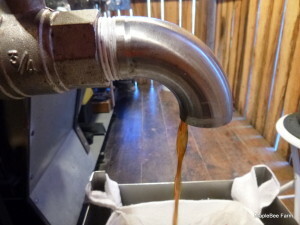 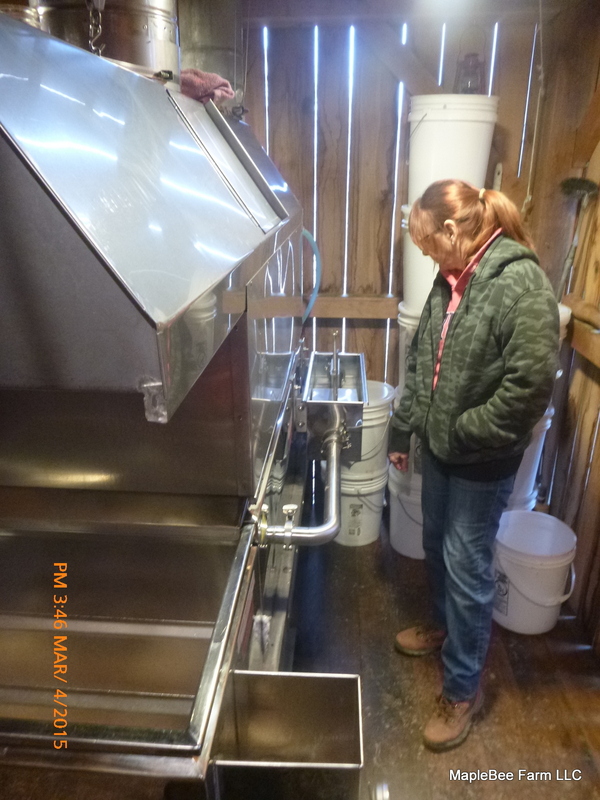 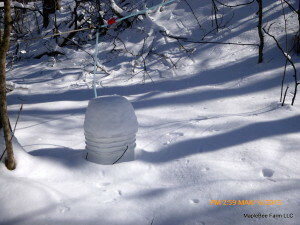 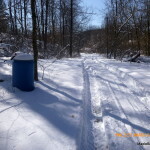 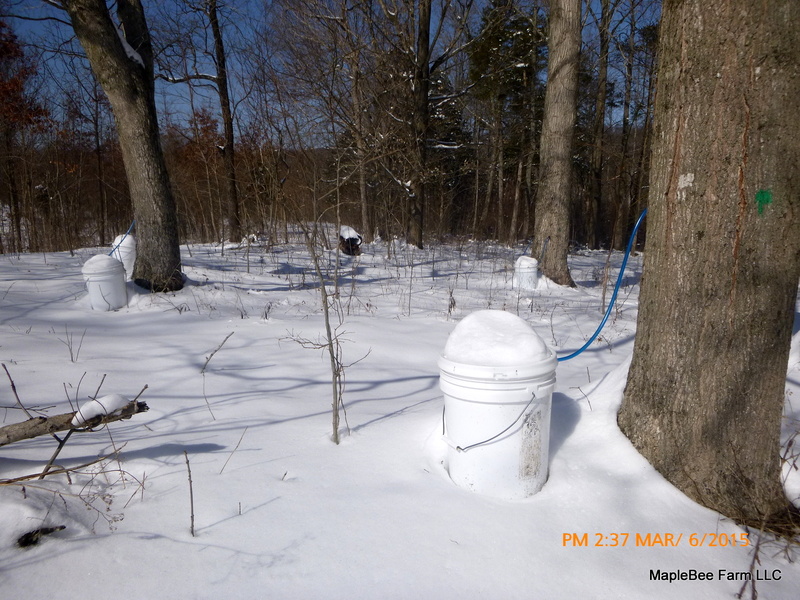 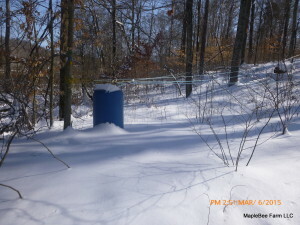 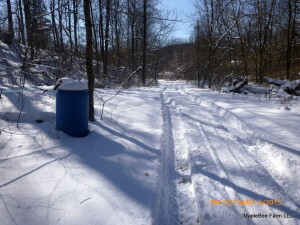 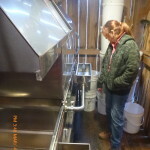 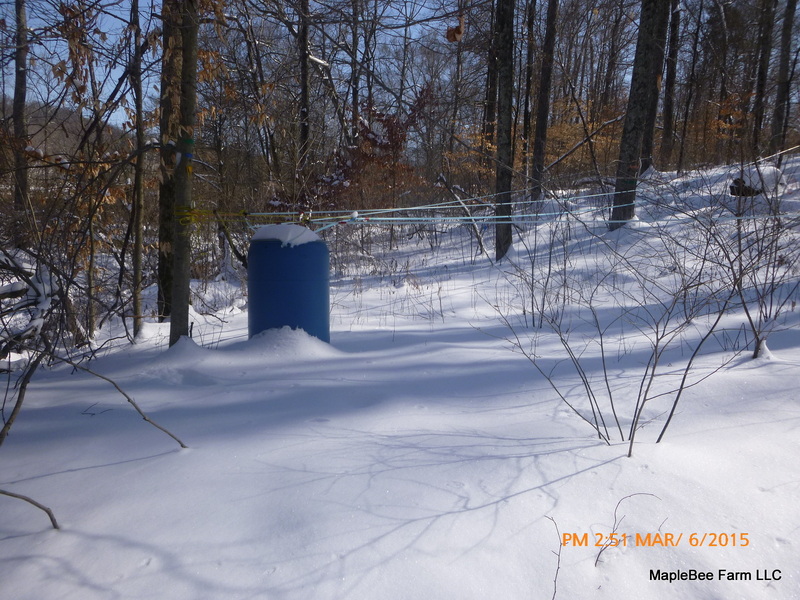 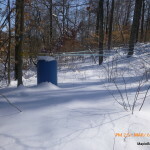 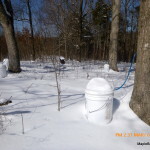 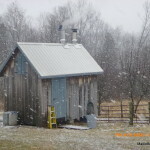 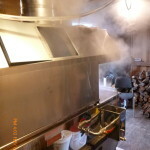 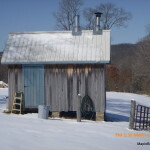 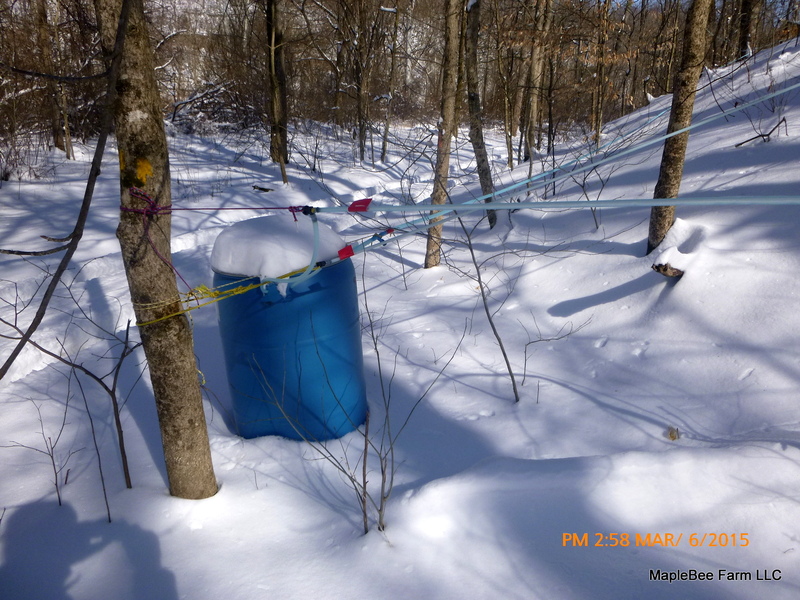 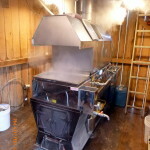 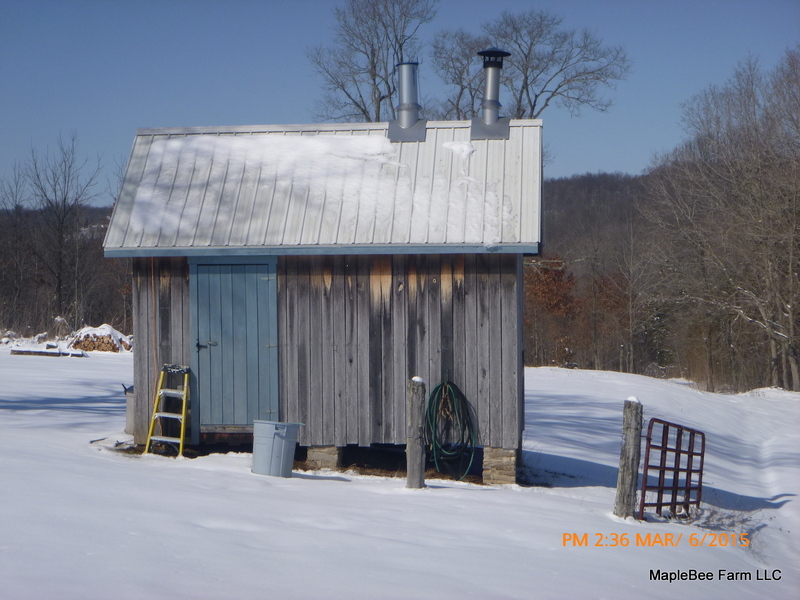 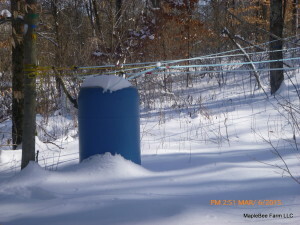 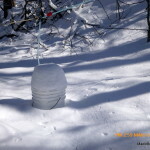 Making good maple syrup needs freezing nights and warm sunny days. 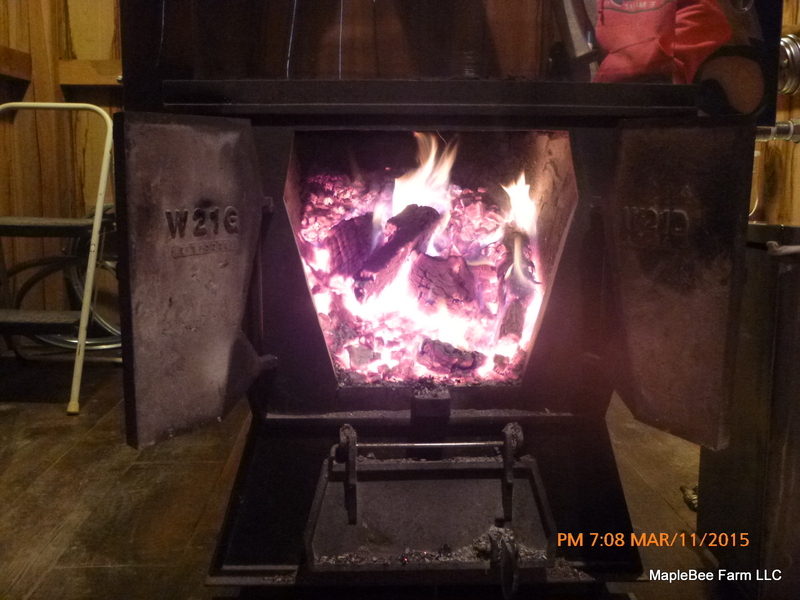 That also makes for a really enjoyable winter, too. 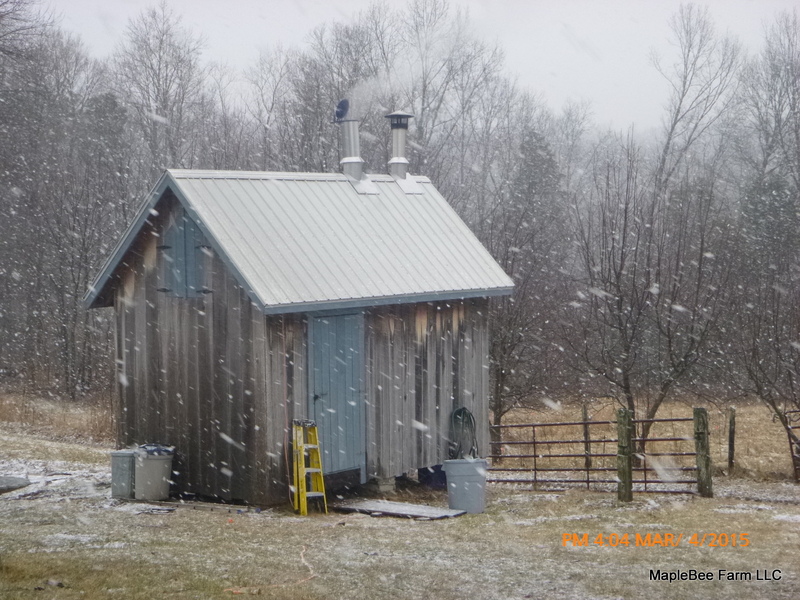 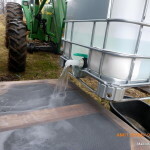 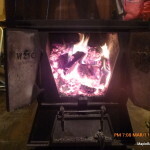 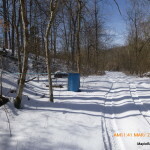 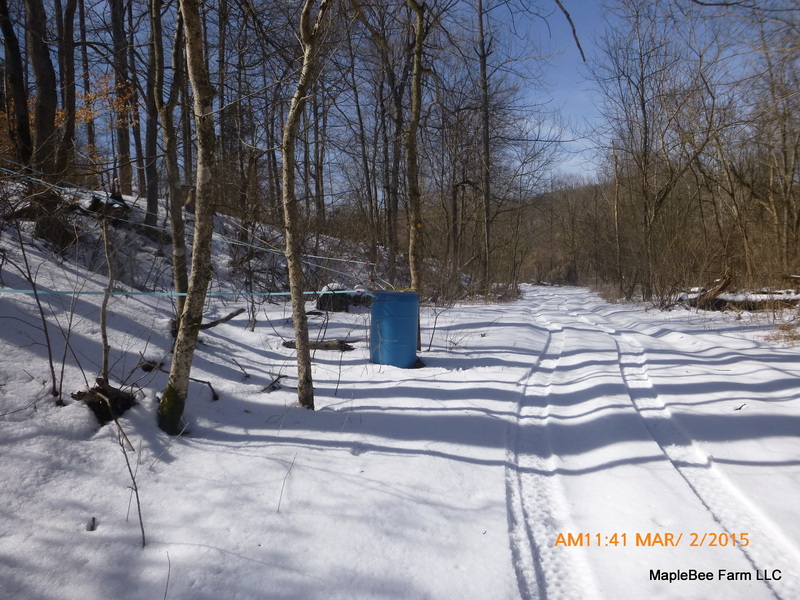 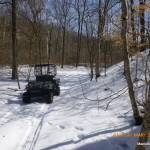 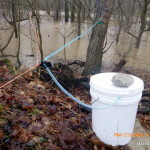 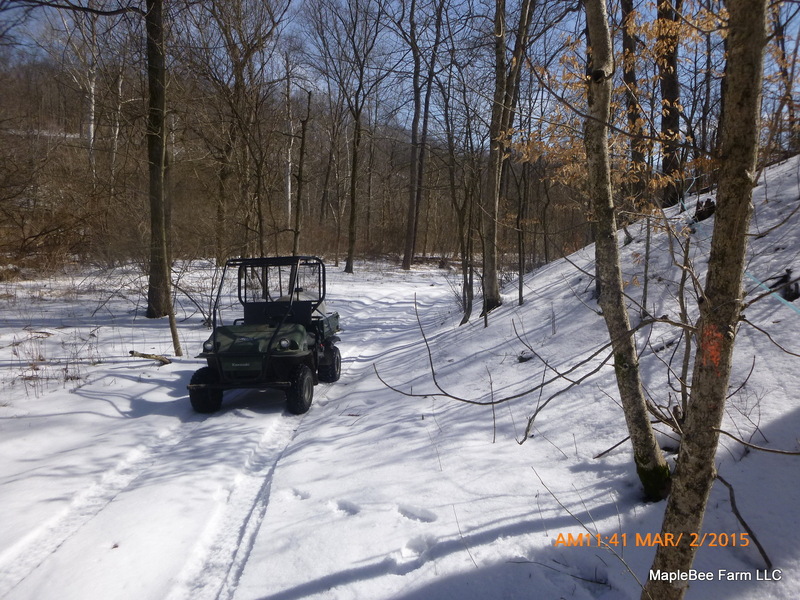 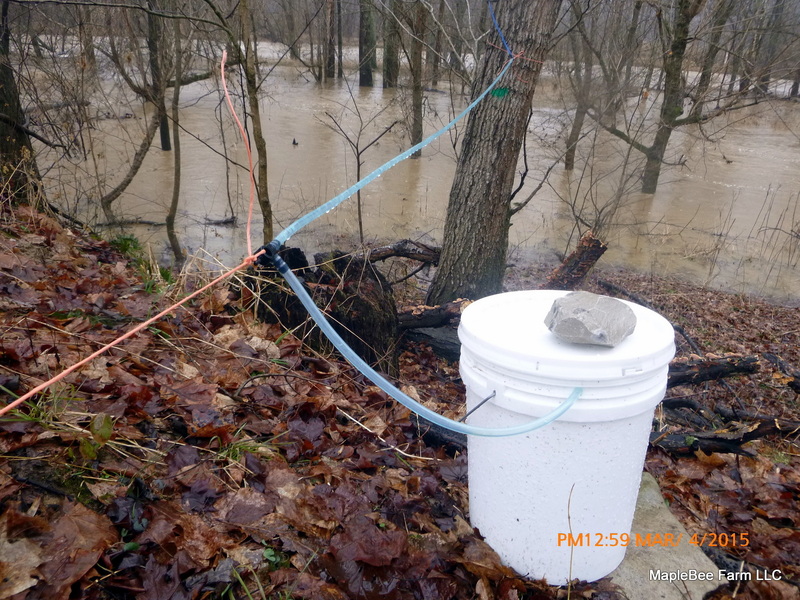 So as we pull off this last draw of maple syrup and begin the process of taking lines down, cleaning everything up, and storing it away, we say welcome to spring. 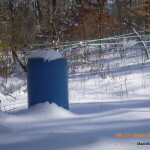 These photos were taken during the cold winter months of 2015. 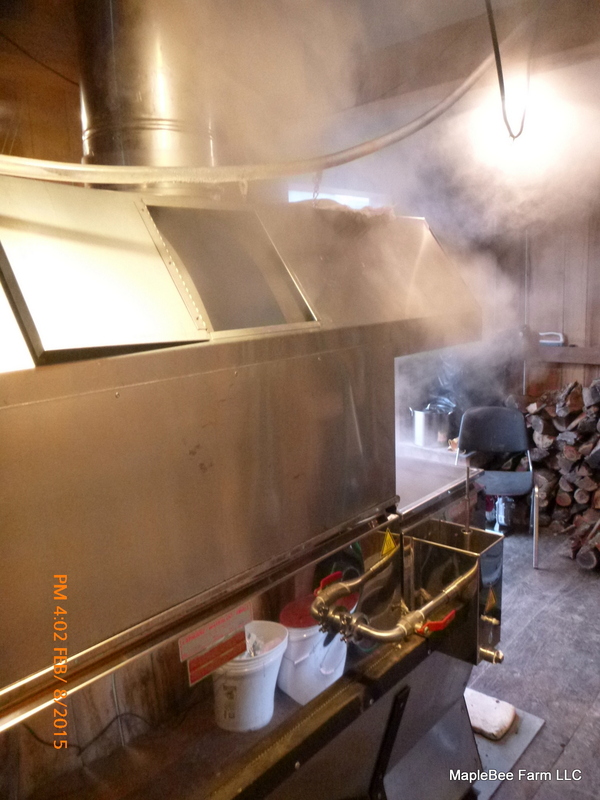 Making maple syrup, or “sugaring” as it’s often called, only happens towards the end of winter. 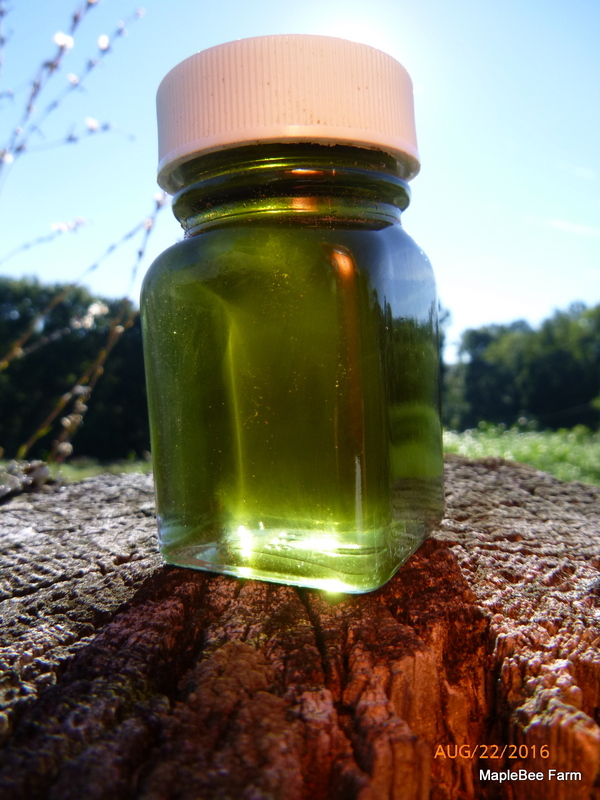 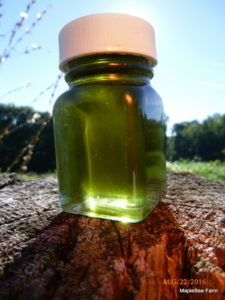 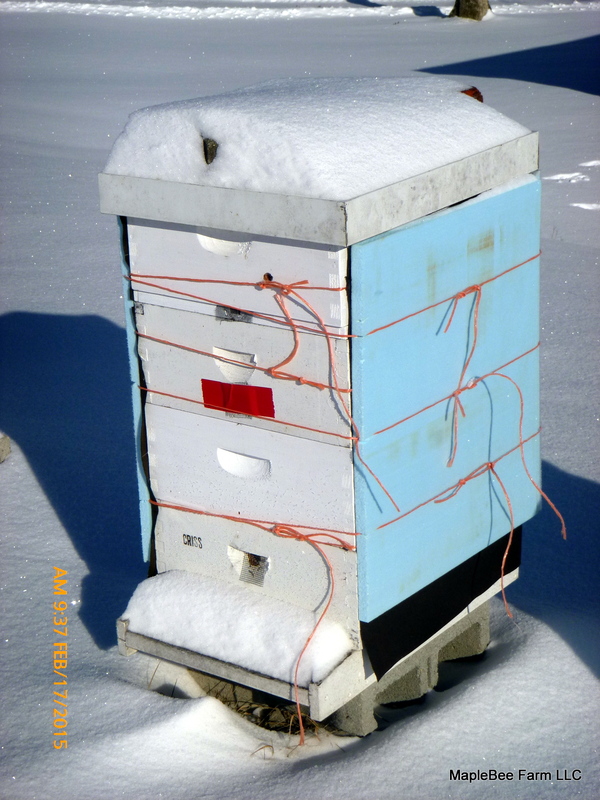 Although the actual making of syrup is a 4 – 6 week season, the work of setting up and taking down takes longer. 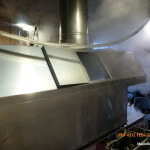 The firebox of the evaporator. 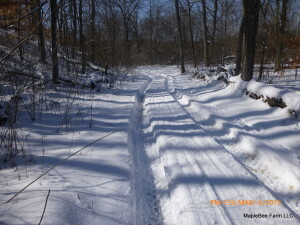 Tire tracks in the snow. 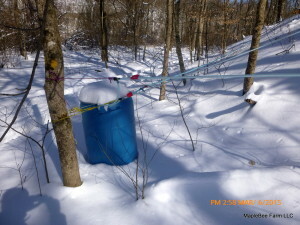 Moving sap to a collection tank. 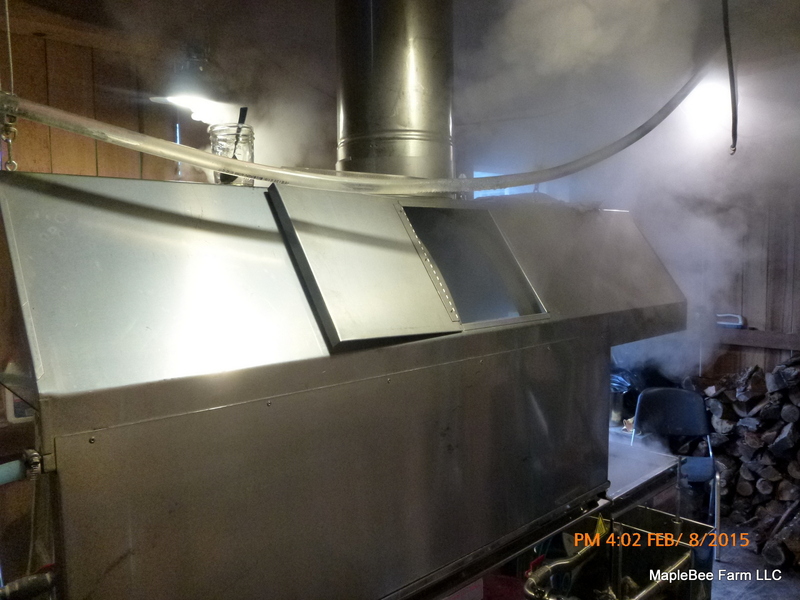 Steam hood on the evaporator guides the steam up the stack. 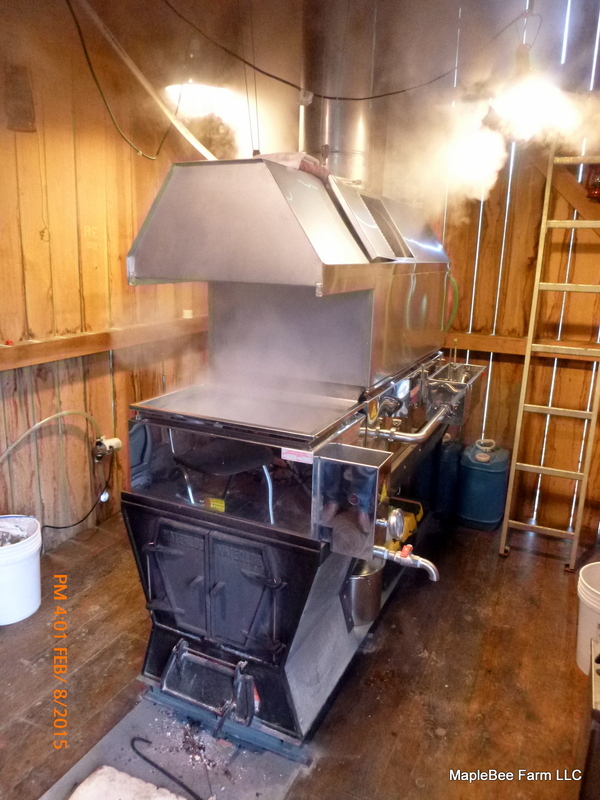 The evaporator. A smaller sized unit, they come in all sizes. 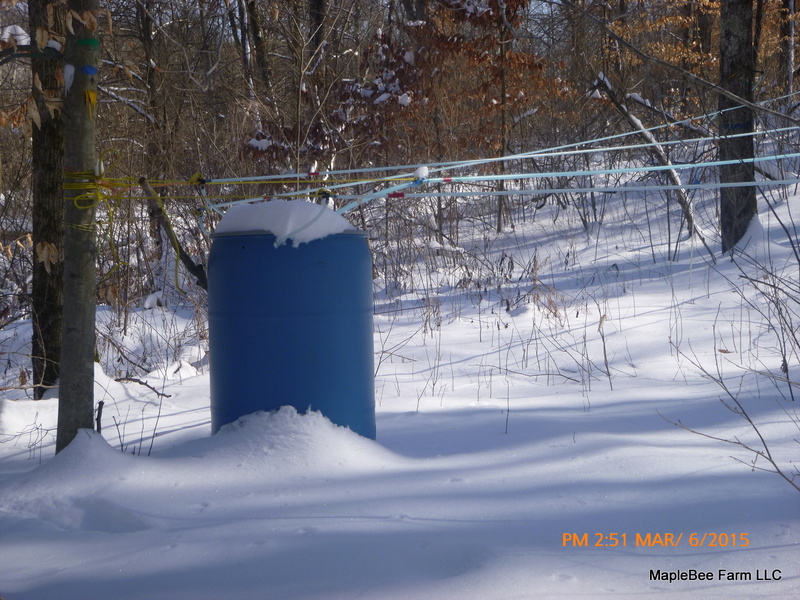 2015 was unusually cold resulting in frozen tap lines. 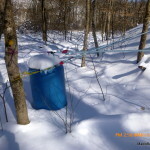 Raw sap that flows out of the trees froze solid in the lines bringing the sugaring process to a halt until the thaw arrived.